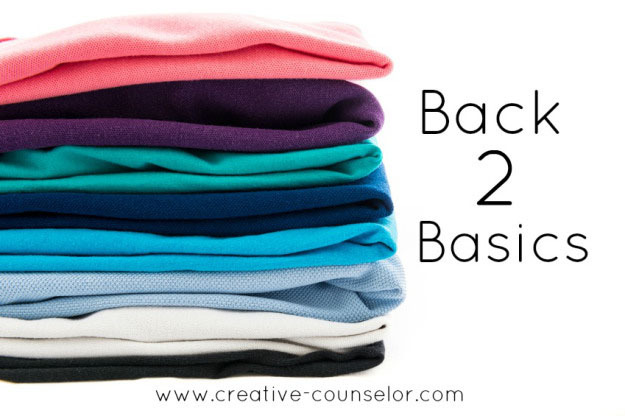 As I mentioned yesterday, Katie at the Creative Counselor is hosting a Back to Basics sew-along this week to help everyone fill in some holes in their me-made wardrobe. Me-Made May ’14 made it abundantly clear that I am missing bottoms. 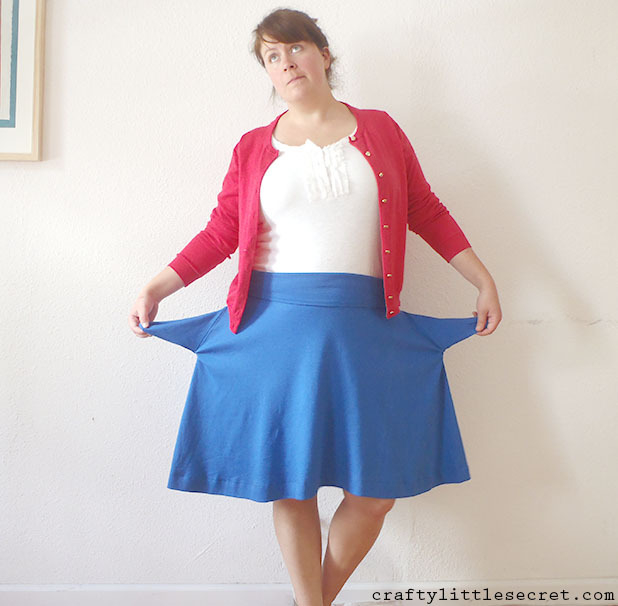 So I decided to make a super simple, super comfy skirt that I’m calling my Blue Afternoon Skirt. 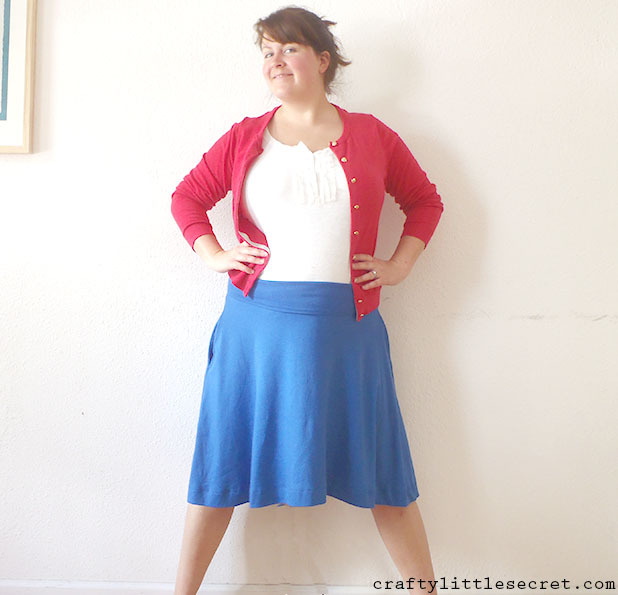 I used about a meter of medium weight cotton knit with two-way stretch to make this skirt and no pattern. I hesitate to call this skirted “self-drafted” because I think that implies that I actually made a pattern instead of just vaguely tracing a skirt shape onto fabric in chalk, quickly sewing it up then trimming away bits as I tried it on. But hey, close enough to “self-drafted”, right? 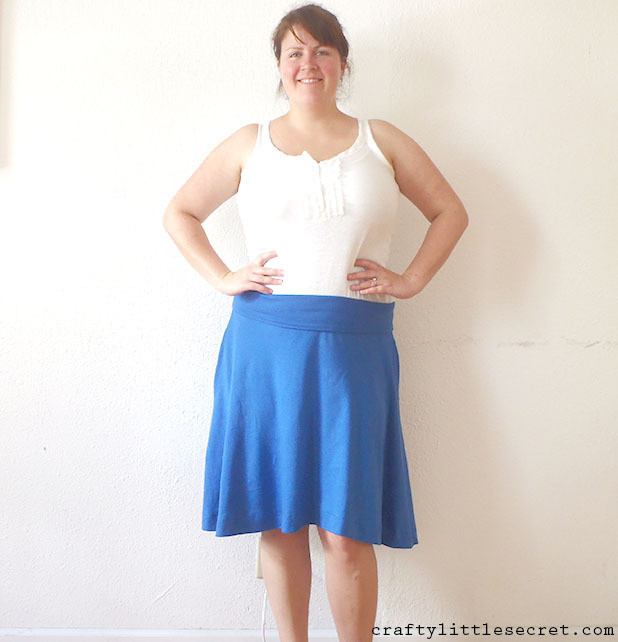 I originally intended for this skirt to have a high, flat waistband that could be worn under shirts without making bumps and lumps or over a shirt for a nice neat high waistband. After I made it though I realized that I basically just sewed a yoga pant waistband onto the skirt. I think it can still be worn up….. Looking at these pictures confirms what I’d feared……I think I’ve gotta straighten that hem out. It started straight. But after some adjustments to the waistband I guess it ended up a little wonky. I’m currently out of the matching thread so for now I’m just going to have to wear it as-is and hope that no one notices the uneven hem as I’m swooshing along. To make this skirt I cut two big triangles, one for the front panel and one for the back. The waist was cut about 4″ smaller than my actual waist measurement and since I didn’t have quite enough fabric to make a true circle skirt, the bottom of the skirt was just cut as wide as I could. As an after thought, I also cut out some pockets. 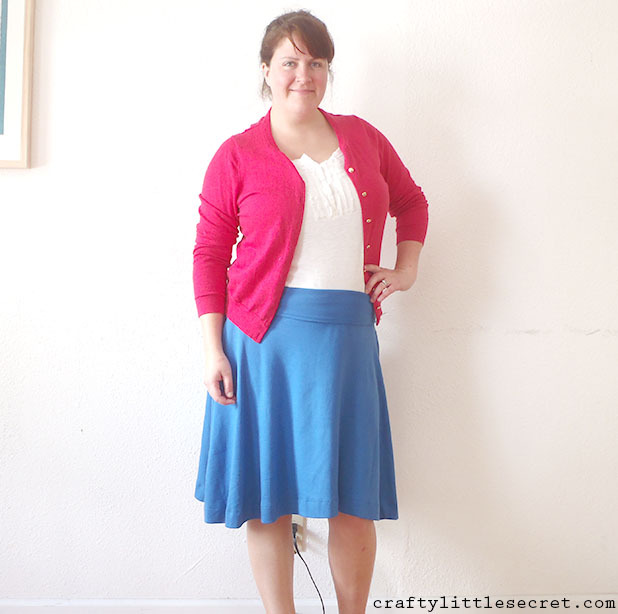 When I sewed up the side seams of the skirt, I inserted the pockets about 3″ below the waist. As it turns out, this is a little lower than my liking and I would have preferred them more like 1″ below the waist. The waistband was made from a band cut 4″ shorter than my waist and about 6″ wide. I sewed it into a loop, then folded it in half lengthwise and attached it to the top of my skirt piece with the seam at the center back. If I had thought that I’d be wearing the skirt with the waistband folded over yoga pant-style, I probably would have made some effort to hide the seams. As it was though, I just sewed the two pieces together. I’ve actually worn this skirt a couple times already. It’s sooooooooooo comfortable for lazing about the house and does a surprisingly good job of staying wrinkle free. The only issue so far is that the waistband seems to stretch out a bit as I wear it. I’ll see where we’re at after I wash it, maybe I’ll have to add some elastic to the waist. Thanks so much to Katie for organizing the sew-along and inspiring me to get Back To Basics!!!! 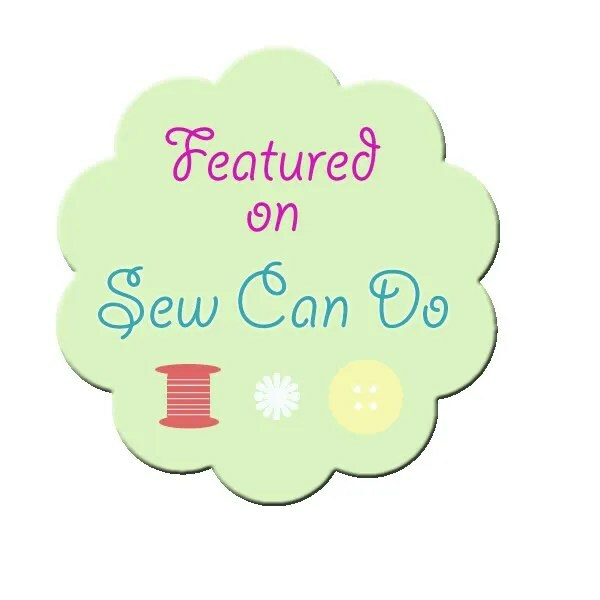 This entry was posted in Back to Basics Sew-Along, Sewing Projects on June 6, 2014 by missphd.